New Delhi, Feb 1 (IANS): While paintings and sculptures seem to remain the all-time favourites at the ongoing India Art Fair here, a special space dedicated to large-format interactive installation art provides experiences not only for the eye, but also involves listening, touching and even creating. 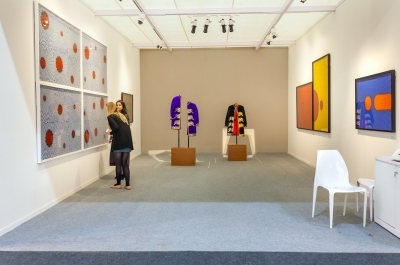 The four-day Fair, known to be a leading platform for modern and contemporary art from India and South Asia, opened to the public on Friday. In partnership with the BMW group -- who is presenting a BMW Art Car by British artist David Hockney -- 75 exhibitors from 24 Indian and international cities are occupying the space. It is possible to lose oneself in the labyrinthine Fair, but the Art Projects tent showcases just a handful of installations by different artists, supported by various galleries. 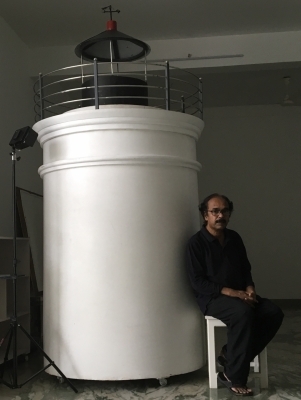 The ‘Change Room' by Bhopal-born artist Baaraan Ijlal is a sound installation about conflicts, fear, loss, love and the possibilities of change. Audio recordings of anonymous voices, of those who have experienced violence -- ethnic, racial, state-sponsored and gender-based, or war and displacement -- play in a dark room, audible when visitors move closer. 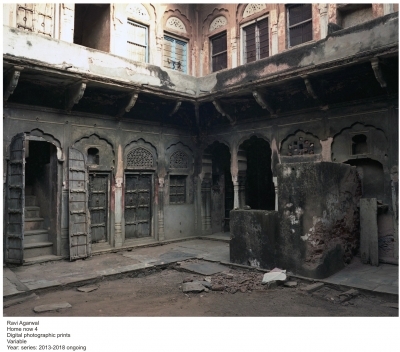 Another installation by artist Neha Verma is a personal interpretation of traditional consort of architectural patterns and hangs in a booth by the organisation Access For All. The artist brings out geometric patterns and forms in her work. What makes it interactive is a miniature, tactile version of the deeply-geometric and layered work, that can be touched by the visually impaired. Access for All head, Siddhant Shah, told IANS that the idea behind the tactile artworks came when his mother, who is partially sighted, was once asked to leave a gallery for the fear that "she will break something". Shah, who now champions Universal Design, encouraged the Fair visitors to experience tactile works in a simulated environment, blindfolded. Another work by Ravi Agarwal called "The Desert of the Anthropocene" is an installation with photographic works, text, videos and objects, and is a part of an ongoing investigation into the current state of the nature -- both as a crisis which traverses a political realm, but also a cultural contestation of how ‘nature' is thought of as an abstract idea to be exploited, in the era of the Anthropocene. A booth space by GALLERYSKE has a pop-up concept store offering artist-designed products for "first-time art buyers like college students and young professionals", with prices for the specially-created works starting from as low as Rs 5,000, an exhibitor told IANS. Installations by sculptors Shanthamani Muddaiah and Shalina Vichitra are also displayed, alongside a video project by Madhusudhanan. 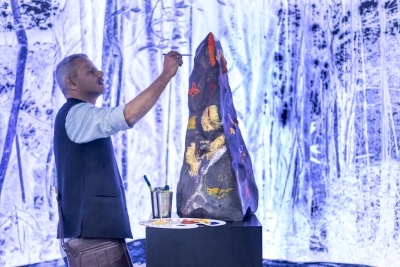 An immersive experience from architect Pinakin Patel engages visitors in a narration about a stone placed at the roots of a tree: "..another traveller notices the beautiful rock and is tempted to add a wild flower, a lady applies her vermillion on it, and another day, the cook paints the stone with turmeric..."
An exhibitor hands a paintbrush and a palette of colours to the visitors, and asks them to add their signatures on the stone, after what comes to their mind listening to the narration. Many visitors do pick up the brush hesitantly, and probably after years. Manisha Baswani, who documents artists' lives and studios, and herself has a Partition connection, is also showcasing her project "Postcards From Home", which has stories of India and Pakistani artists kept in sacks of wheat grain ("kanak") -- symbolising feelings of home and something that is common to the lands of the countries. The India Art Fair will conclude on Sunday at the NSIC Grounds here.